Part of the McKenzie collection. 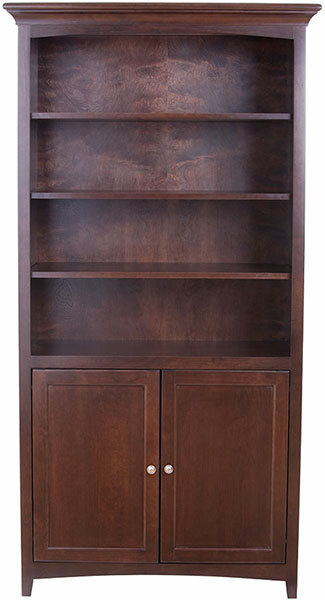 Features 4 adjustable shelves. Available in Caffe (shown), Glazed Antique Cherry, or unfinished.